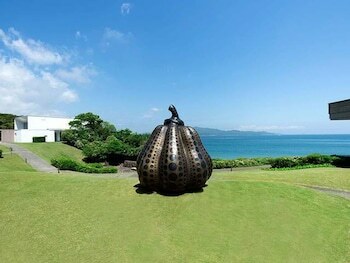 With a stay at Thalassa Shima Hotel & Resort in Toba, you'll be by the ocean, just a 1-minute walk from Ise-Shima National Park and 13 minutes by foot from Sea Folk Museum. Featured amenities include luggage storage and an elevator (lift). Planning an event in Toba? This hotel features 2346 square feet (218 square meters) of event facilities. A train station pick-up service is provided at no charge, and free self parking is available onsite. With a stay at R&B Hotel Higashi Nihonbashi in Tokyo (Chuo), you'll be within a 10-minute drive of Edo-Tokyo Museum and Akihabara Electric Town. With a stay at White Beach House in Shirahama, you'll be within a 5-minute walk of Shirahama Onsen and Tsubaki Onsen. Free self parking is available onsite.